Light, light, light. Light in all its effervescence; light falling in scattered shining flecks, shimmering incandescent pigment. Light like it had never before been painted. J.M.W. 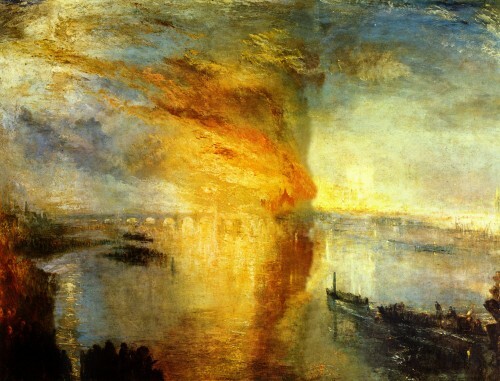 Turner (1775-1851) became the leading artist of his era. A classical painter, heavily influenced by the old masters, he introduced a new way of painting and has been hailed as a forerunner of modernist abstraction. 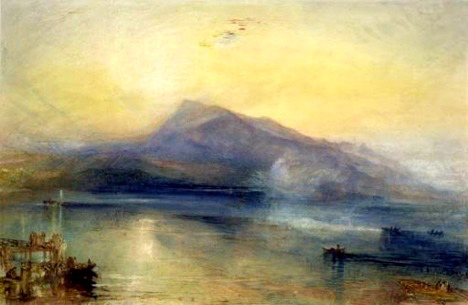 Turner brought watercolor painting to a sublime and respected place in the art world of the mid 1800’s. He felt watercolor described light as no other medium. Turner was an inveterate sketcher filling hundreds of small drawing books with his impressions of nature. He went to extreme lengths to experience his world. Turner trekked remote areas, he roped himself to a ship’s mast during a ferocious storm, and in another reckless venture…he sketched the famous burning of Parliament from a rowboat in the dead of night. Not all were enchanted with his work. 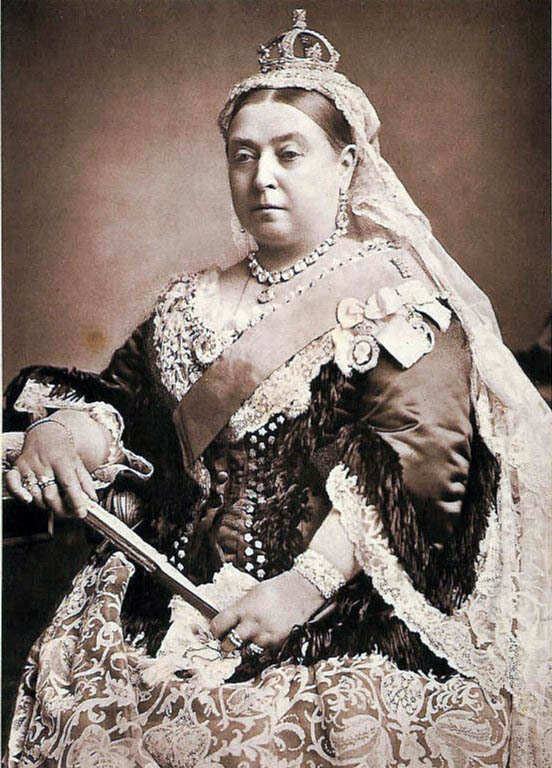 Queen Victoria touring the Royal Academy in London, pronounced Turner’s paintings, “…disgusting. A yellow mess.” Critics were suggesting he was losing his mind. At his death in 1851, J.M.W. Turner bequeathed all his works to the British nation. Fascinating review of Turner’s watercolors. Now playing in movie theaters: Academy Award nominated, “Mr. Turner.” Not to be missed! Description of outstanding talent, well done. Enjoy water colors. Can be sublime, soft, meaningful and/or exciting. As a major artistic media, I guess we are now meeting the near originator. Now in Bariloche, AR. Time to reflect and recollect. Thanks, Kirby. I did not know what a fabulous watercolor artist Turner was! He was such a master of evoking “mood” in his paintings. I absolutely loved the movie especially the scenes at the Salon.